Founded in Switzerland in 1984, the CARMINA QUARTET has enjoyed a vibrant and critically acclaimed career. Early successes at international competitions (Premio Paolo Borciani, 1987) and mentorship by musicians such as Sandor Végh and Nikolaus Harnoncourt paved the way for an international concert career in venues such as Wigmore Hall (London), the Concertgebouw (Amsterdam), Weill Recital Hall (New York), the Sydney Opera House and Suntory Hall (Tokyo). The Carmina Quartet’s over 30 recordings have been awarded prizes such as the Gramophone Award, the Diapason d’Or, the Choc du Monde de la Musique, the Preis der Deutschen Schallplattenkritik, a Grammy nomination as well as the Record Academy Award of Japan 2008. The quartet collaborates regularly with musicians such as Wolfgang and Sabine Meyer, Hiroko Sakagami, Teo Gheorghiu, Rolf Lislevand and Thomas Grossenbacher. Matthias Enderle (1st violin) and Wendy Champney (viola), two founding members of the quartet, perform alongside Agata Lazarczyk as the 2nd violinist and Chiara Enderle on the cello. Born in Krakow in 1992, Agata Lazarczyk received her soloist’s diploma at the Zürich University of the Arts and appears as a soloist and chamber musician throughout Europe. She has performed in ensembles such as the Verbier Festival Orchestra and Chamber Orchestra and the Lucerne Festival Academy Orchestra, and currently holds the position of 1st violin in the orchestra of the Zürich Opera House. 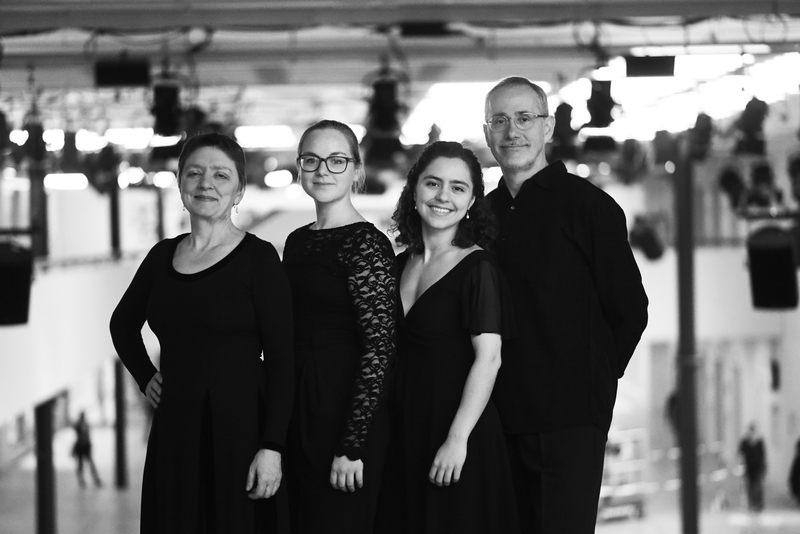 Chiara Enderle, also born in 1992, is the daughter of Matthias Enderle and Wendy Champney and spent her childhood on tour with the Carmina Quartet. Since then, she has garnered 1st prizes at the Lutoslawski Competition in Warsaw and the Pierre Fournier Award in London and embarked on a promising career as a soloist, performing with orchestras such as the Tonhalle Orchestra Zürich, the Musikkollegium Winterthur, the National Philharmonic Orchestra in Warsaw, the Munich Chamber Orchestra, the Kammerphilharmonie Potsdam and the Philharmonia Orchestra (London). 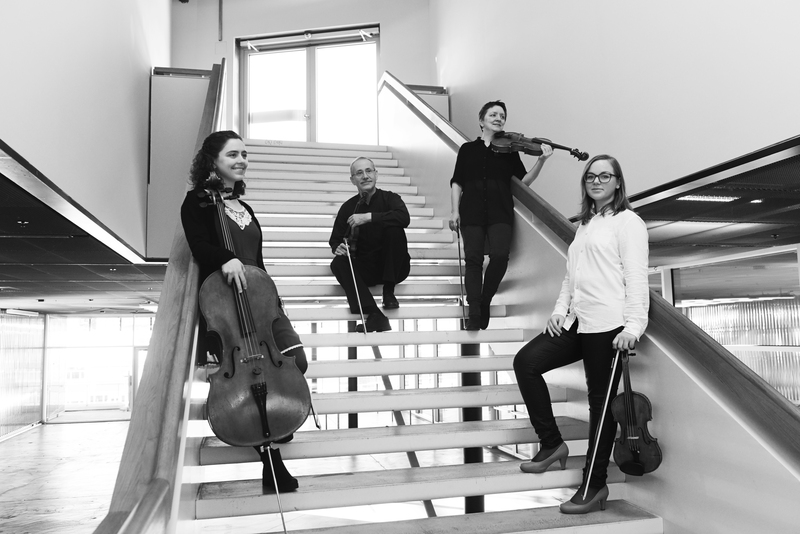 The Carmina Quartet brings together the rich experience of the founding members with the energy and enthusiasm of youth, building on the tradition it has cultivated throughout the years.